A marimo with a moustache, seeking gold? Why not?In this physics-based platform game, gamers play as Leo, an explorer whose amassed family fortune is swiped from him. Search far and wide for the most elusive of thieves and reclaim his gold!This inventive, family-friendly puzzler offers plenty of challenges while keeping controls simple and motions fluid. The instantly iconic Leo—a green ball of fluff—floats, inflates, compacts, pushes and slides his way across five worlds (24 levels) of escalating trickery. With considerable replay value, plus additional challenges for the completionist, Leo’s Fortune certainly earned its Apple 2014 Design Award, and is worth every scrap of gold you can find. 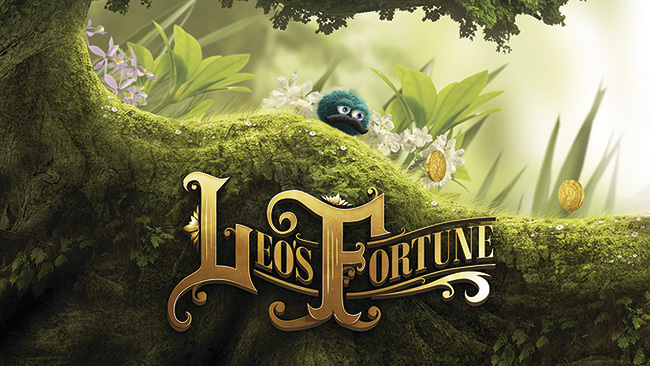 *Please note, Leo’s Fortune is currently unavailable on Japanese iOS stores. Designed for short bursts of entertainment, the addictive ’50s Spaghetti Western-inspired Ready Steady Play comprises three mini-games (with more planned) that find the player in quick-fire shootouts against gun-toting hoodlums, racing through dusty plains on hobby horses or sharpshooting to keep tossed coins in the air. Playable with tap-and-swipe mechanics for shooting and reloading, and tapping in landscape mode for the hobby-horse run, the well-designed game offers solid bang for your buck and quick-fix replayability. A hypochondriac’s worst nightmare, now in game form! Bio Inc. takes an in-depth look at the human body as players control a disease fighting against doctors’s rescue efforts. The concept may sound morbid, but the intensively researched game offers meticulous and detailed insight into how diseases interact with the human body, and what effects can better it—or harm it. The game, played entirely on a single screen depicting the human anatomy from different viewpoints, has players selecting a risk scenario and then collecting viruses that further deteriorate the victim’s health while doctors strive to save the patient. More a game of strategy than biology, this is for people who enjoy self-diagnosis onWebMD.